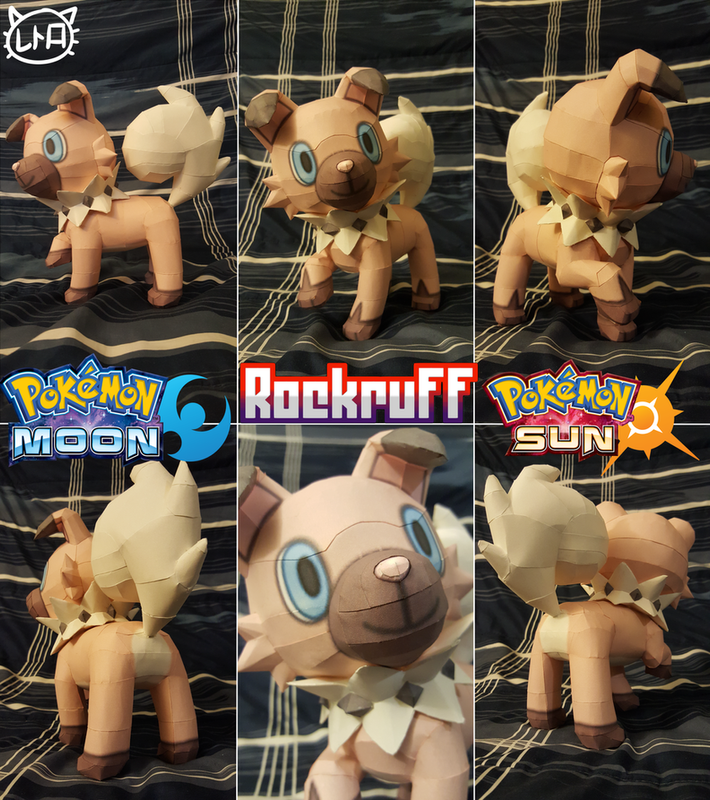 Rockruff is a quadruped, canine Pokémon. It is primarily light brown with a darker brown muzzle, paws, and ear tips. It has large blue eyes, button ears, a short muzzle with a triangular pink nose, and a short tuft of fur on each cheek. Around its neck is a ruff of grayish-white fur stubbed with dark brown pebbles. The dark brown markings on its paws extend to a thin point on each wrist and ankle. It has a grayish-white tail that curls tightly over its back and is covered in fluffy fur. It evolves into Lycanroc starting at level 25. The form it evolves into depends on the game it evolves in. Notes: Rockruff was built by SuperRetroBro. Thanks for building! A textureless .pdo file is included in the package! 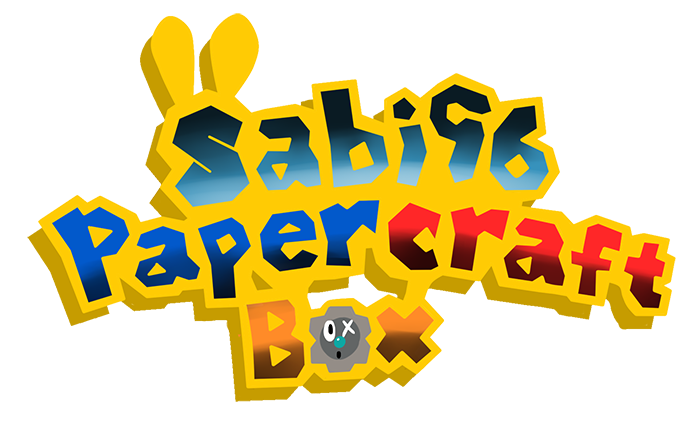 Pdo file for use in Pepakura VIEWER only.